You would naturally expect that those who have an excellent credit rating will be rewarded with higher credit limits than anyone else could expect to be granted by a credit card company. If you have fair credit you will not be granted as high a credit limit than those with better credit ratings but there are cards that offer higher credit limits than others. There are a number of things everyone really wants out of their credit card and a higher limit is often one of them. 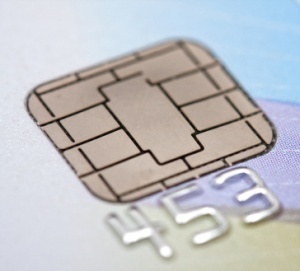 Higher limit credit cards for fair credit can be a bit of a double edged sword though. On the upside a higher credit limit increases your spending power and can increase your credit score as a high credit limit is to the bureaus a sign of greater creditworthiness. On the downside a higher limit, which allows you to spend more can be a terrible temptation and spending more than you can reasonably afford to pay back is very easy to do. This is something else the credit bureaus look at. If you seem to have a credit limit that is too high for the state of your current credit profile they may see it as a risk that you will overspend and not reflect the fact that you have that higher credit limit in a positive light. A credit limit is also a decision that every credit card lender makes on a case by case basis. Usually even if you receive an instant approval on an online credit card application you will not know what your credit limit will be until you actually physically receive your new credit card in the mail as it is a decision that is made separately from the initial approval decision. Why Do You Want a Higher Credit Limit? If you simply want a higher credit limit on fair credit score credit card because you want to be able to spend more this may be very dangerous thinking, at least in terms of your credit rating. If you spend all the way up to that higher credit limit and then only make payments that are only a little above the minimum because that is all you can reasonably afford then the impact on your credit score will be a negative one, not the positive you had hoped for. On the other hand if you obtain a higher limit credit card but stay under your credit limit and make substantial, on time payments every month (even perhaps paying off your balance every month) then you will be displaying the kind of responsible financial behavior that will see your credit score begin to increase rather quickly. So if used in this way the higher credit limit on a fair credit credit card is indeed a big help. How Do You Find High Limit Credit Cards for Fair Credit? When you read the descriptions of various credit cards in promotional literature and on the application form you will be provided with details about all the interest rates and fees attached to the card as well as all the rewards and benefits. The one piece of information you will not normally see is what the credit limits are. Then that begs the question how do you know which credit cards actually do offer high credit limits to those with fair credit? A general idea after some research is really the best you can hope for in this situation. Some credit cards do generally offer higher credit limits than others but whatever the average credit limit is is no guarantee of the credit limit that you, the individual consumer will receive. You may have the best chance of receiving a high limit credit card for fair credit by applying for a credit card from an institution you already have a relationship with – ie your personal bank. If you have had a checking and/or savings account that you have kept in good standing foe some time – regular deposits, no bounced checks or overdrafts – then the bank knows a lot about your financial habits and are likely to consider your application for a credit card in a more favorable light and many also offer you a higher credit limit than a lender who is completely unfamiliar with you would. Even if you apply for what some reviewer in a magazine or on TV show said would offer you a high limit credit card and the limit you initially receive is not as high as you would have expected you should not give up hope of eventually receiving a higher credit limit on the card. If you use the card responsibly for a few months, pay off your balances and stay under your current credit limit sometimes a simple phone call asking for a credit limit increase is all it will take to get one, even if your good habits haven’t changed your credit score too much yet (it does take time) Many lenders do not have a problem offering a higher credit limit to good customers but many of them won’t actually go as far as to offer it outright. If you call and ask for one based on your good standing as a customer though your request will often be granted.